Snow is falling on Main Street in Stockbridge, Massachusetts, with delicate flakes drifting onto the six inches of powder already covering the ground. 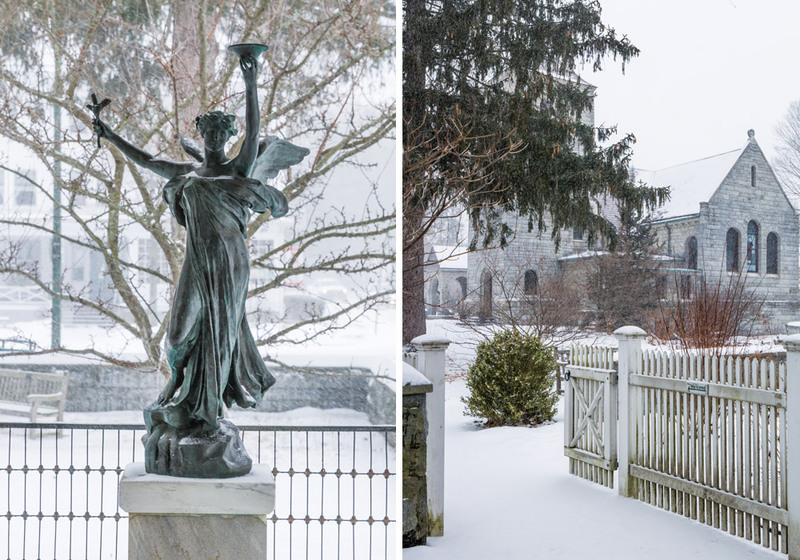 In the gray stone vestibule of St. Paul’s Church, a recasting of Daniel Chester French’s winged sculpture The Spirit of Life lifts outstretched arms toward the silvered sky, while ice crystals etch lacy patterns on the multi-paned windows of the welcoming Red Lion Inn. Pedestrians, bundled up in smart wool coats, go about their business, unfazed by the weather, as children excitedly dash home to tote their sleds to the nearest hill, engaging in good-natured snowball fights along the way.